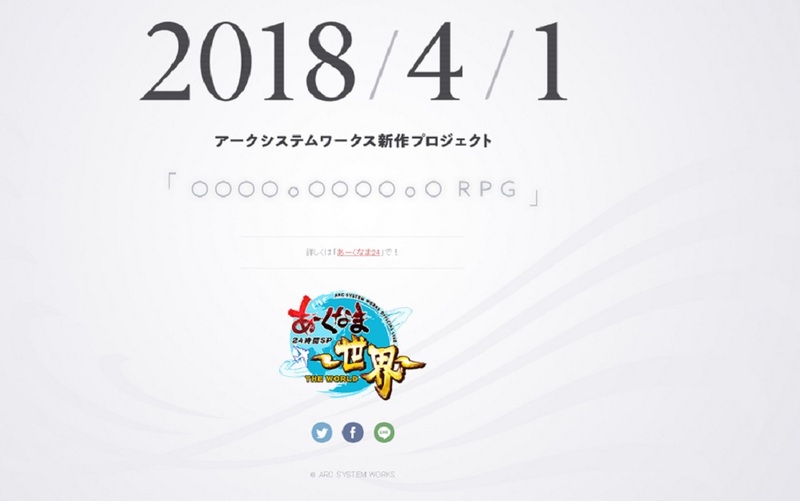 Japanese developer Arc System Works have opened a new teaser website announcing the coming of a new series. The site purports that the title will be an RPG, which would be quite a surprise from ArcSys, who are renown for their excellent anime fighting games. It is, however, easy to raise an eyebrow at said announcement, as it is scheduled to take place on April 1, traditionally a day of Fake News (The fun kind, not the world-destroying-arguments kind), so there is a strong possibility that this is just an amusing joke. Still, companies in the past have listed mysterious news on April 1 specifically because it was April Fool's Day, which then turned out to be true after all. I guess we'll all have to wait and see.